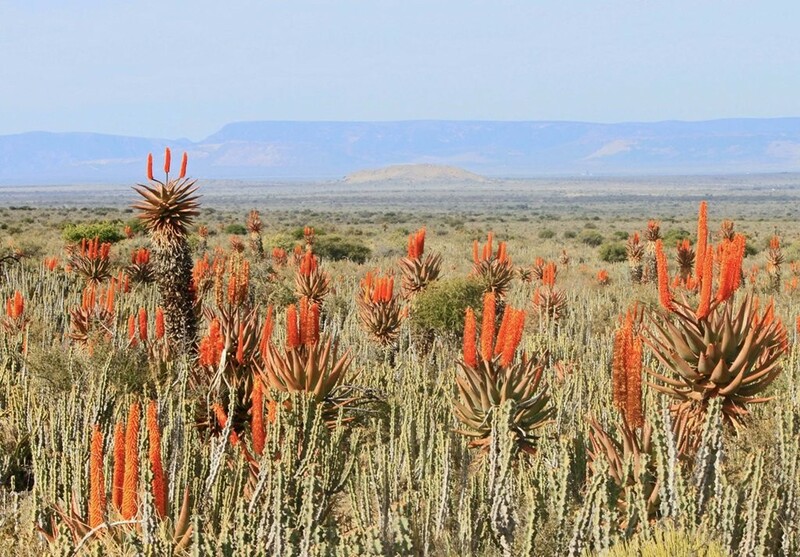 Many geological ages ago, South Africa's Great Karoo region was a mighty lake. 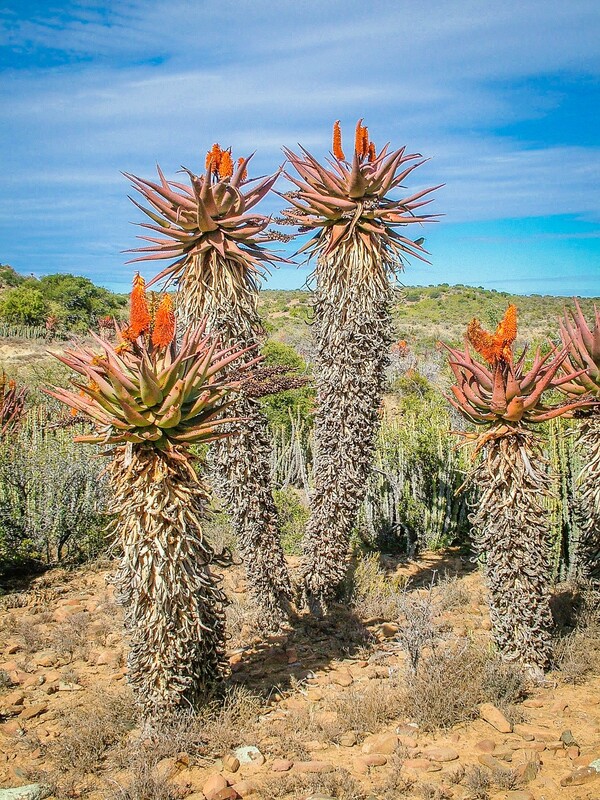 (The word Karoo is derived from the Khoi or Hottentot word "karusa" meaning dry or hard). 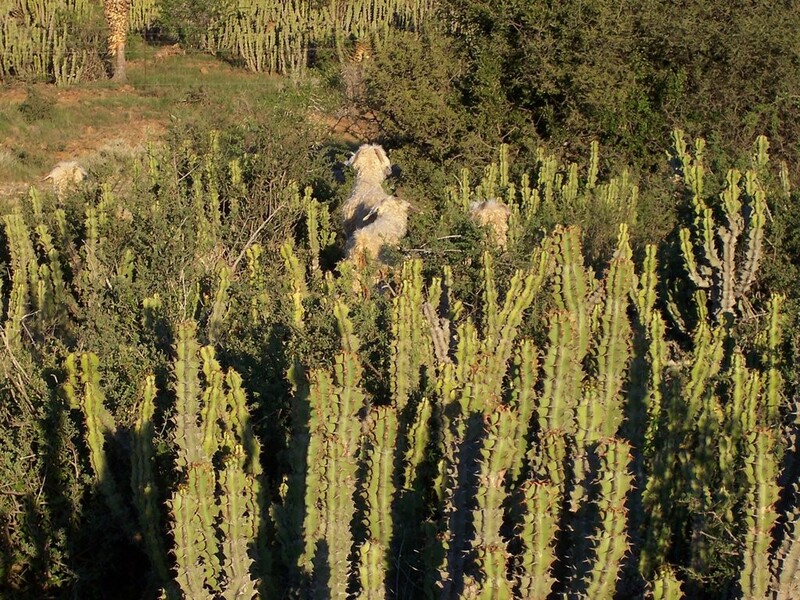 As this lake gradually dried out, vegetation established itself in its place. 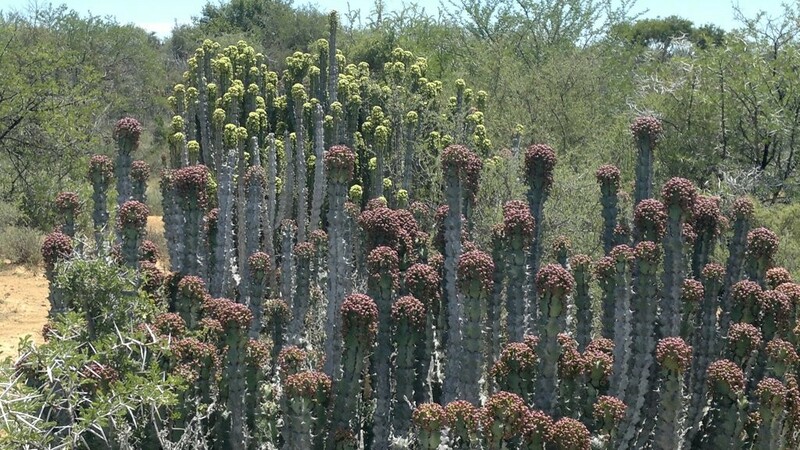 Around what was one day to become the town of Jansenville a variety of euphorbia plants established themselves. 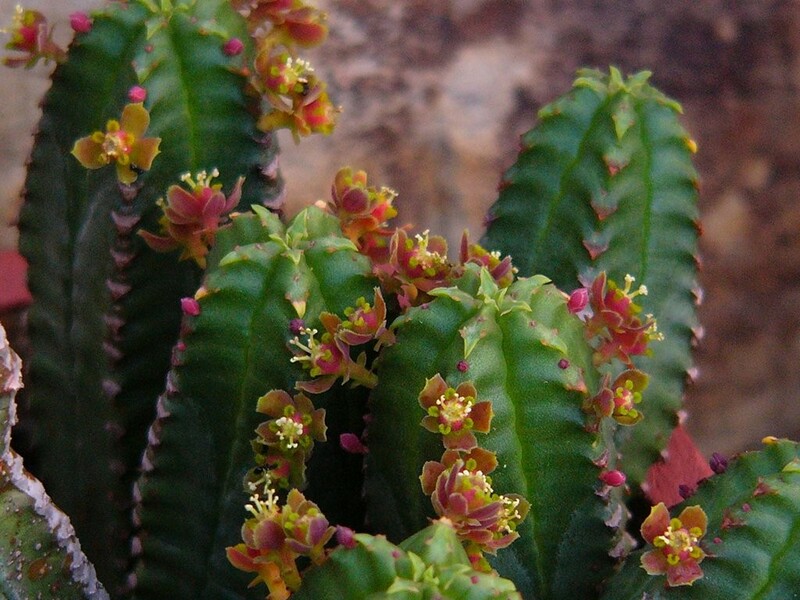 The euphorbia is a family comprising about 1 000 species found throughout the warm and temperate regions of the world. 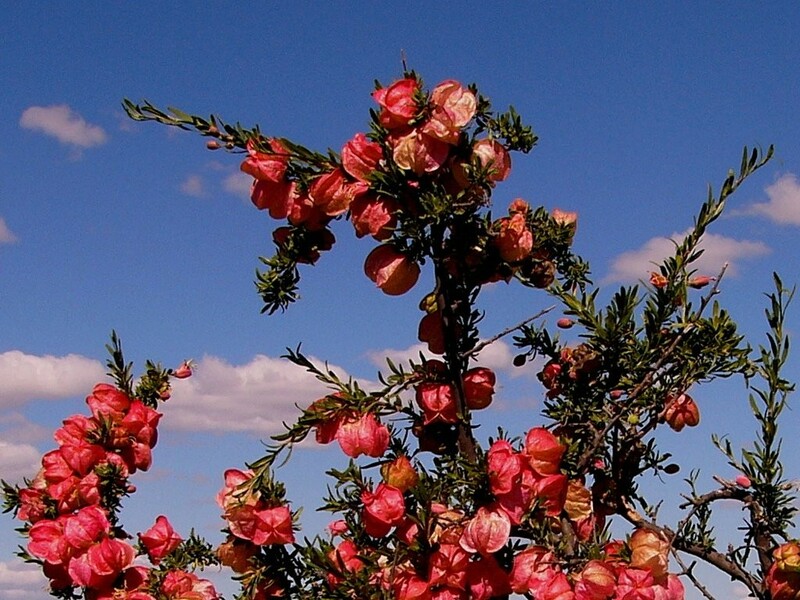 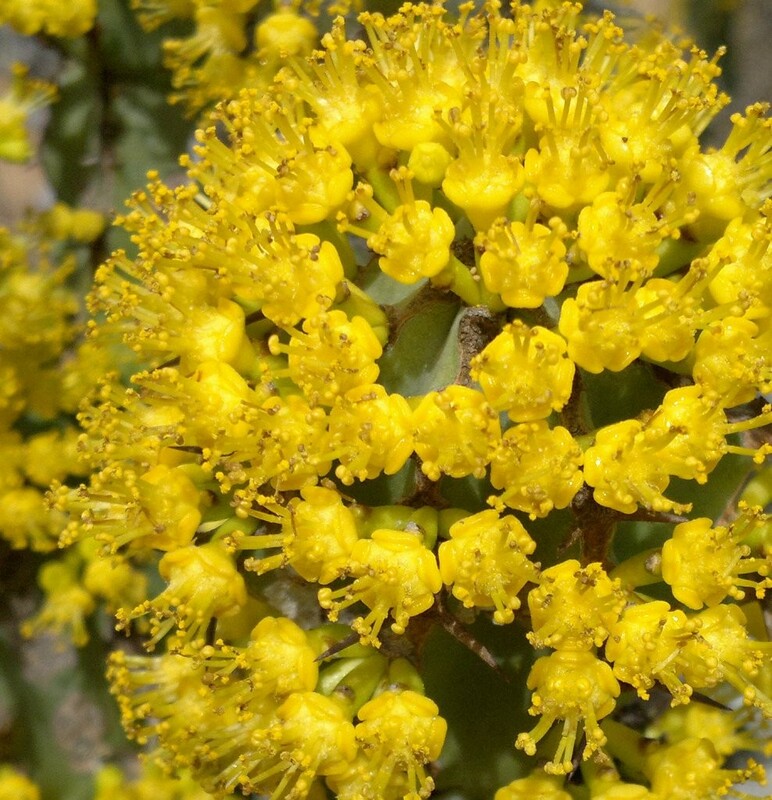 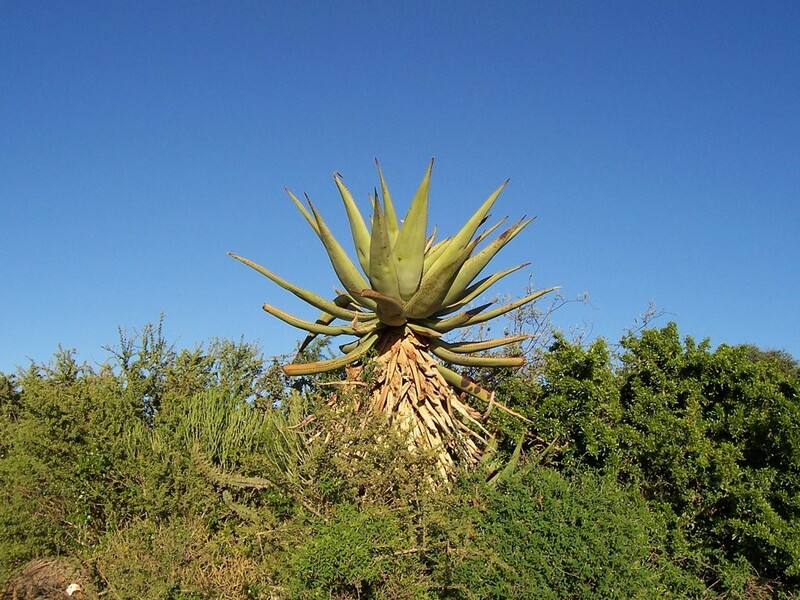 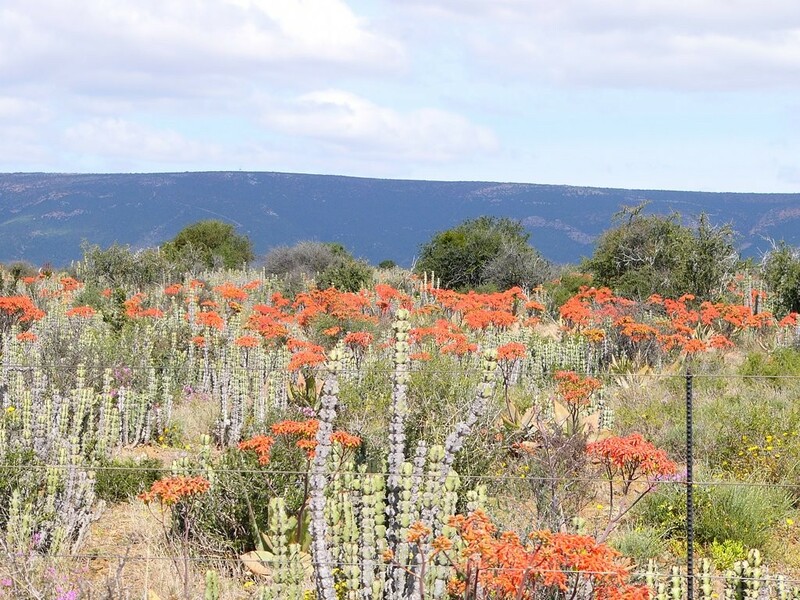 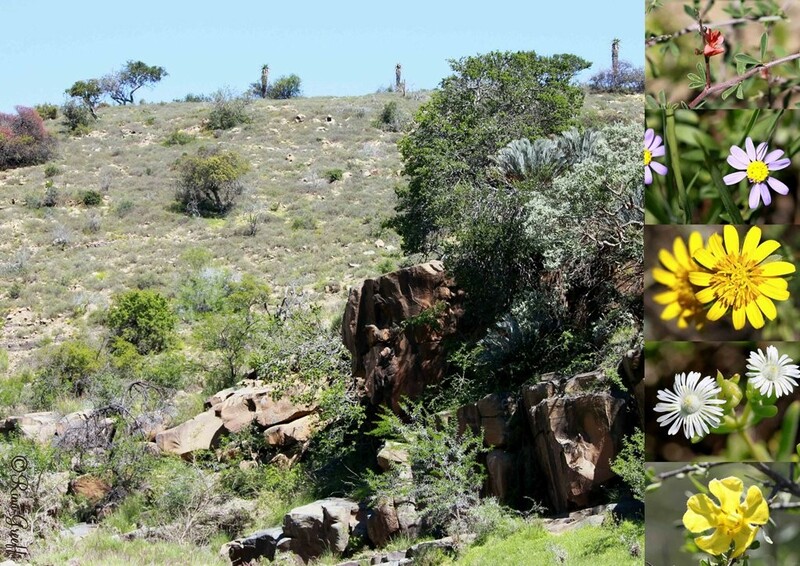 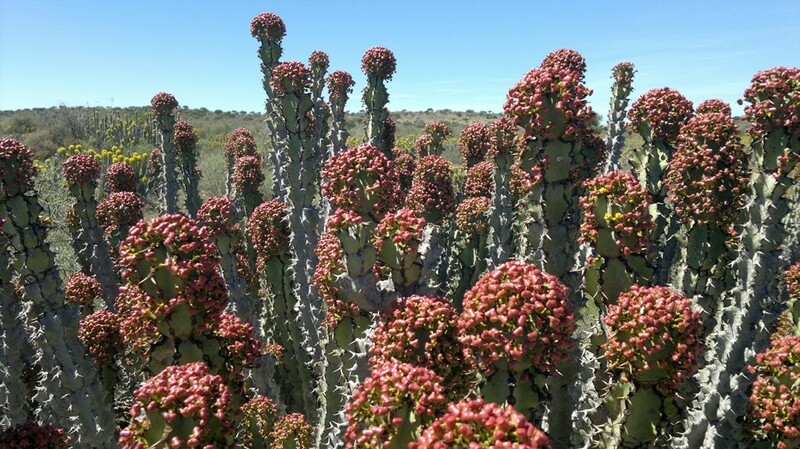 The euphorbias found around Jansenville are smallish, thorny plants with milky sap and are known as noors, giving the region its name of Noorsveld. 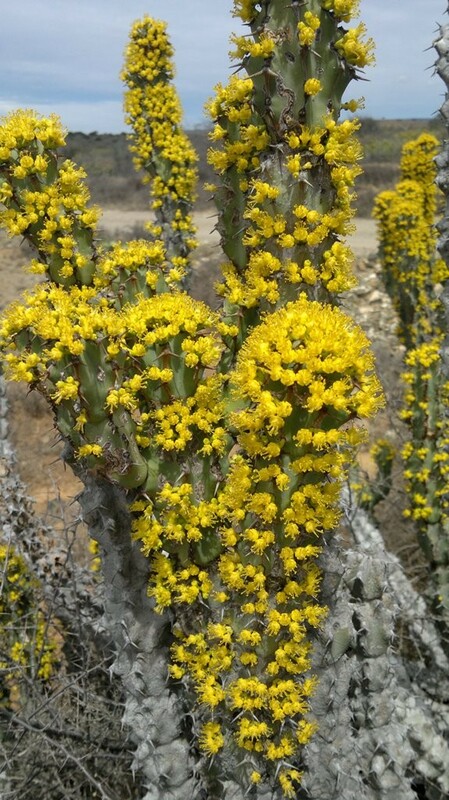 The origin of the name noors is not certain but is believed to originate with the British whom the prickly plant with its yellow flowers reminded of gorse. 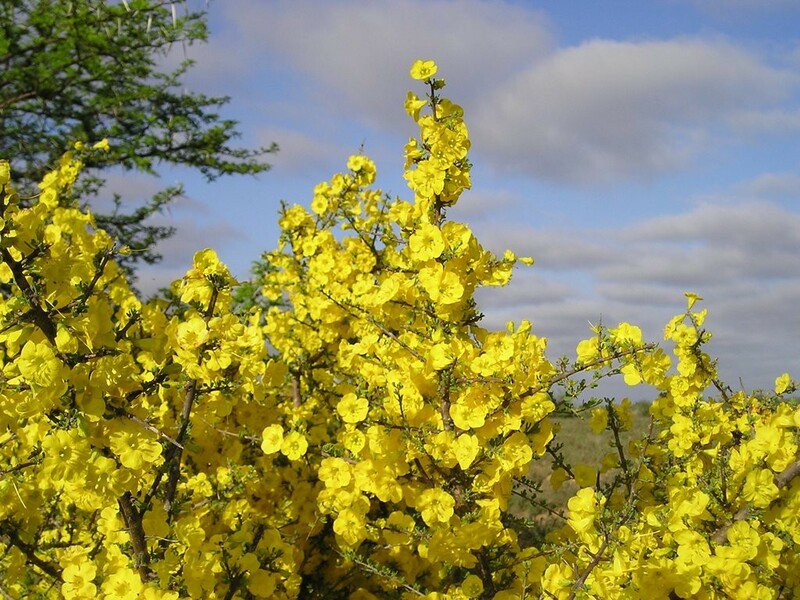 It is supposed that "gorse" evolved via Dutch speaking settlers into "noors". 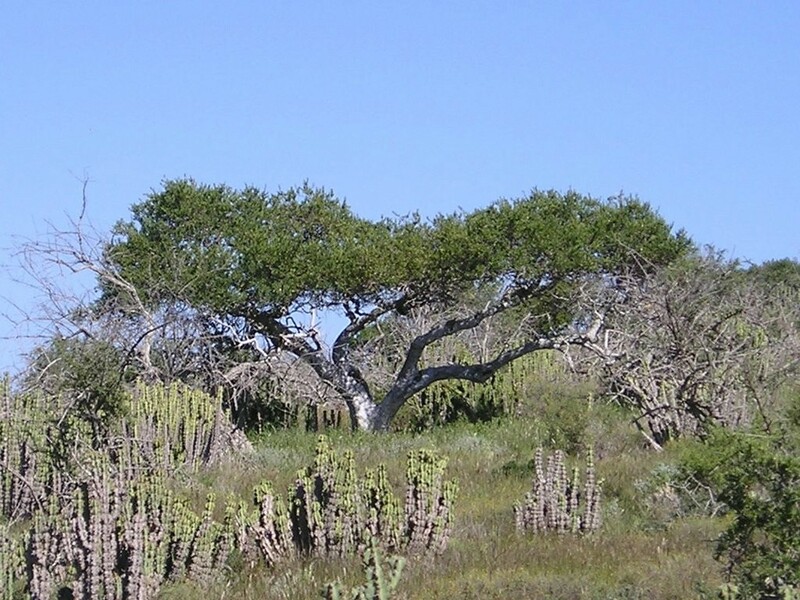 There are some half dozen types of noors in the district including the very rare Euphorbia Jansenvillensis, indigenous to the area. 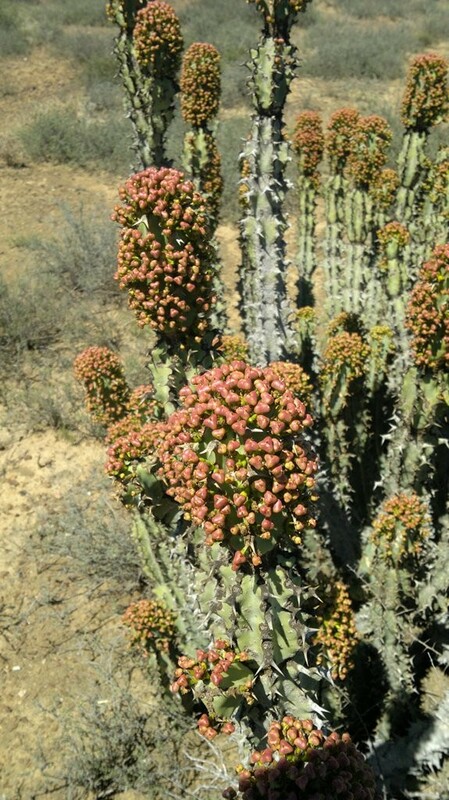 The noors actually flowers only in dry conditions and not when it is "fat", in other words full of moisture following good rains. 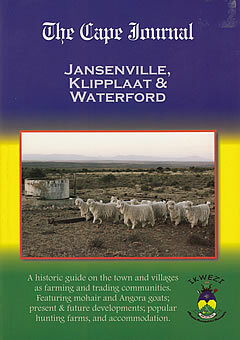 The noors is frequently chopped as fodder for stock with the result that Noorsveld farms can carry one unit per morgen compared with one unit per three morgen in Karoo conditions where the noors does not occur. 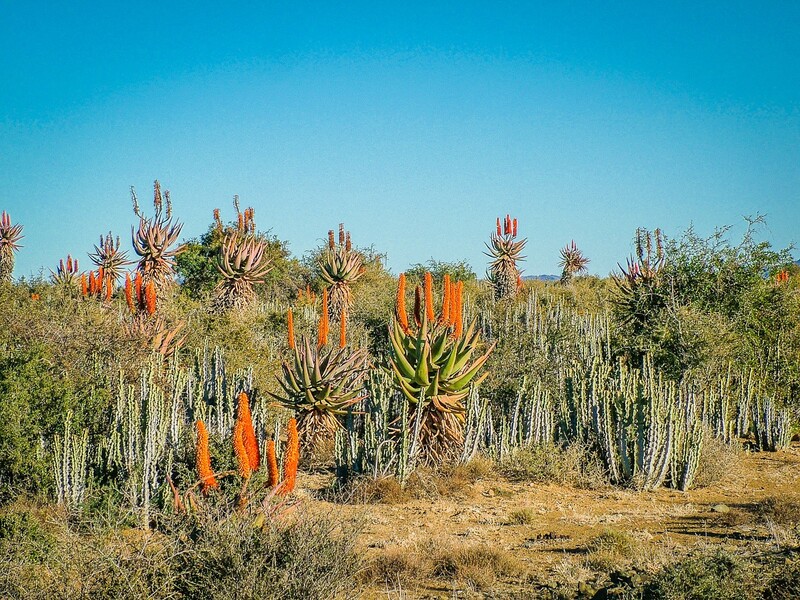 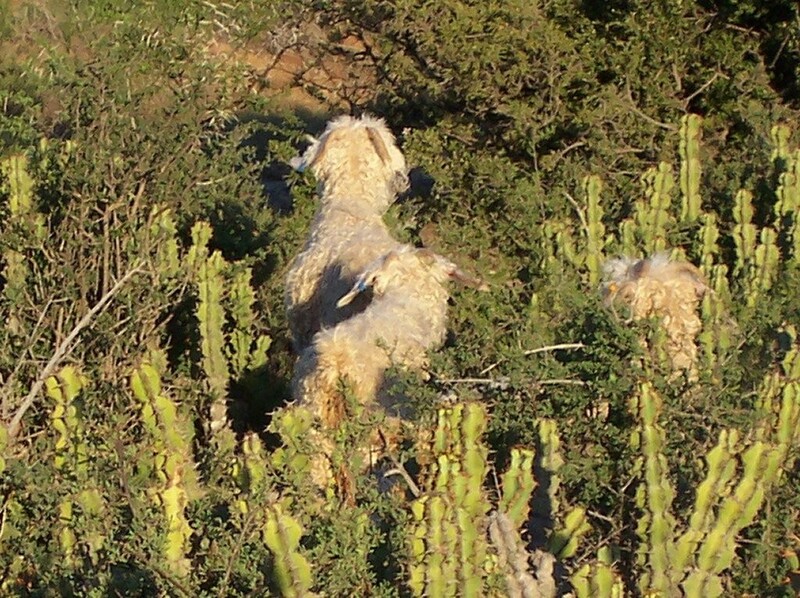 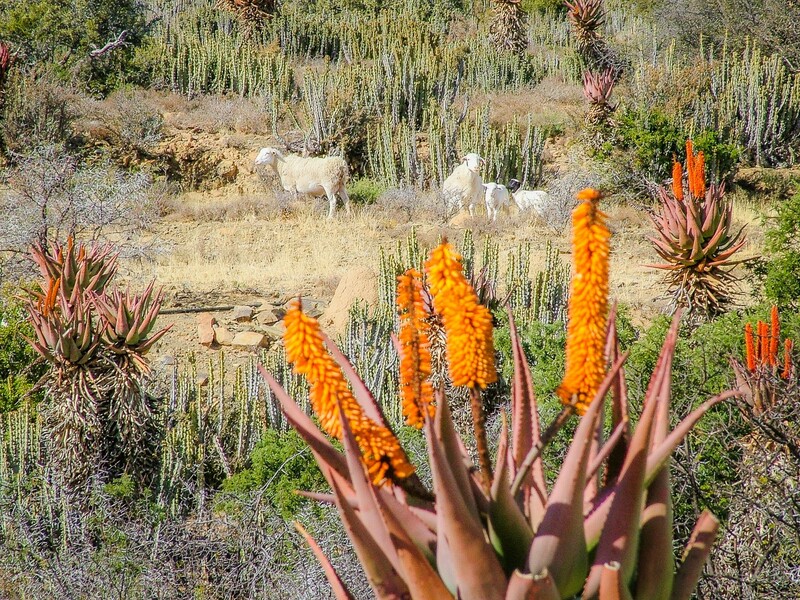 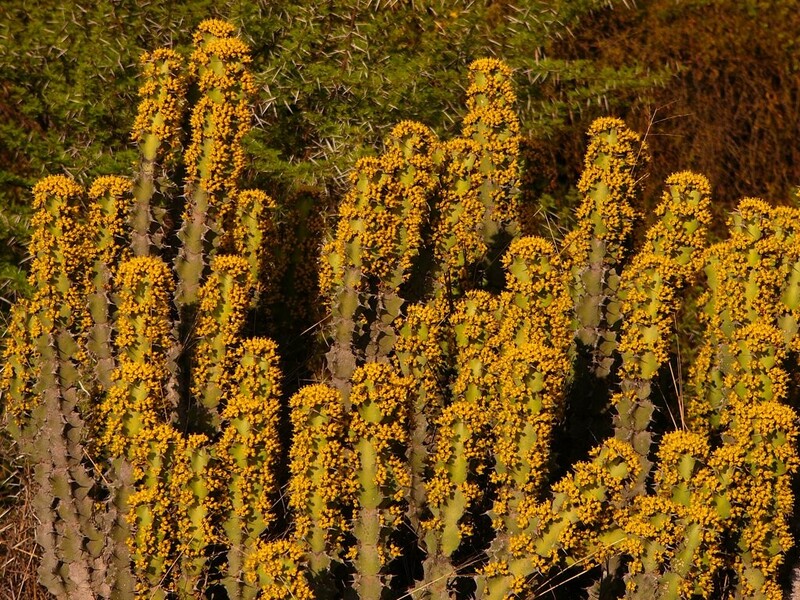 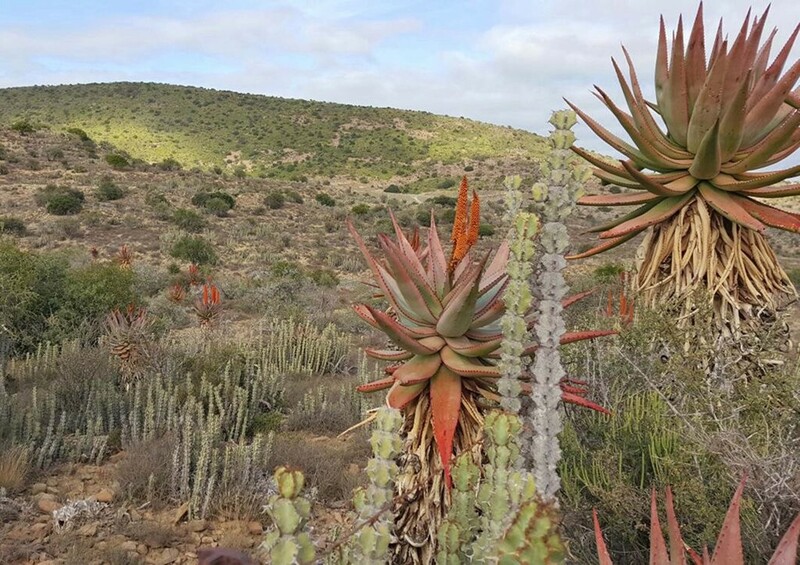 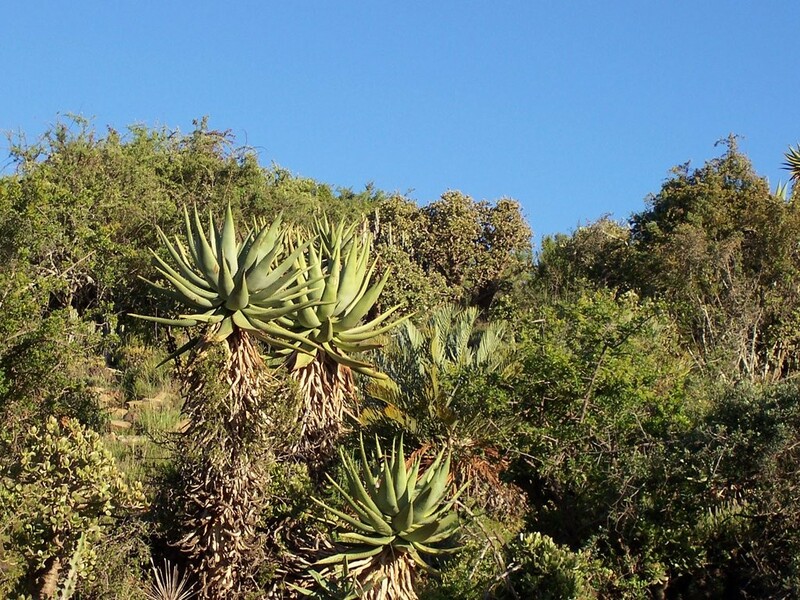 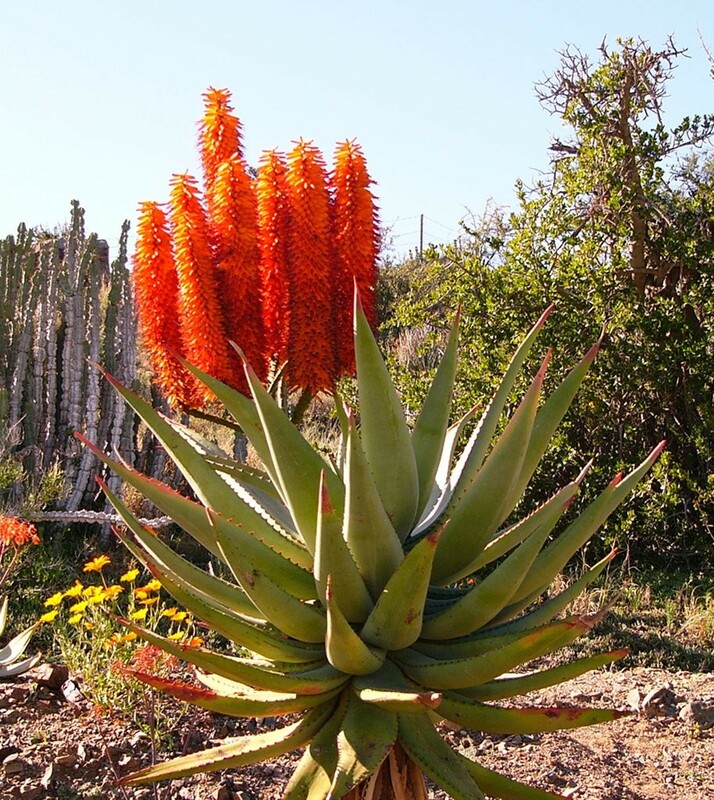 Besides the noors, prickly pears and an abundance of aloes are to be found.